I always thought making your own tomato sauce was some gruelling ordeal, but it turns out it really isn’t. Plus it tastes way fresher than store bought! I had a mix of tomatoes in my refrigerator, so the sauce ended up being a rusty red….very pretty. 1. Place scored tomatoes in boiling water for about 1 minute. 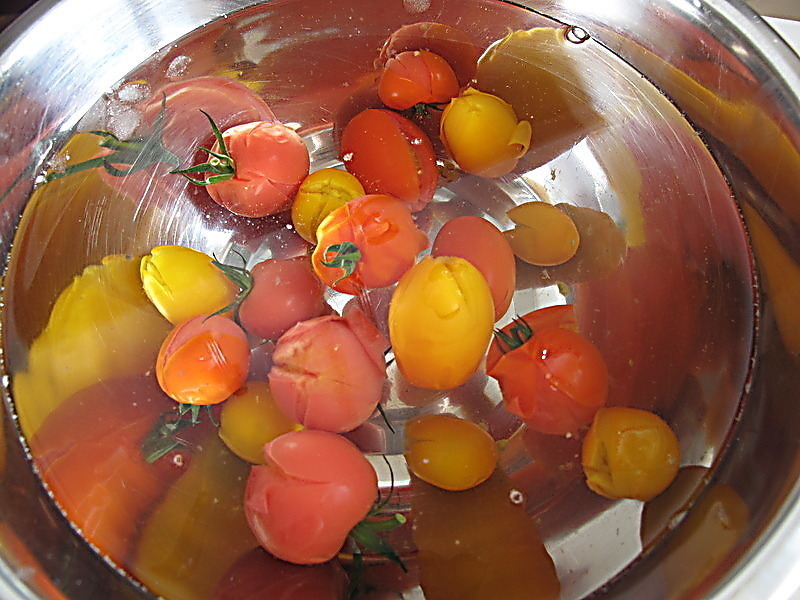 Remove tomatoes and place in bowl of ice water. Peel skins off and put in food processor. Blend to desired texture. 2. Cook garlic and a drizzle of olive oil in a saucepan on low heat for a few minutes. 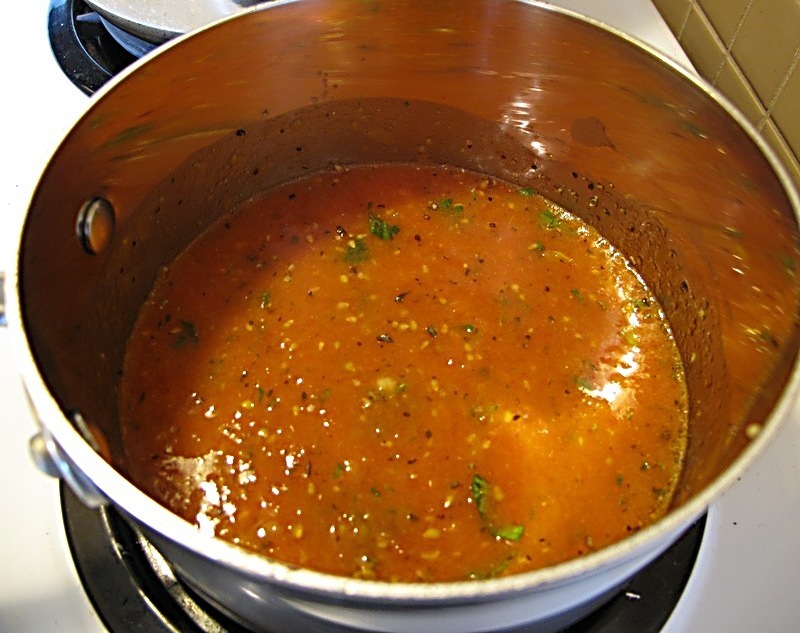 Add tomatoes and remaining ingredients to saucepan and simmer for about 1 hour. This entry was posted in Sauces and tagged food processor, from scratch, Recipes, tomato, tomato sauce by Karina. Bookmark the permalink.